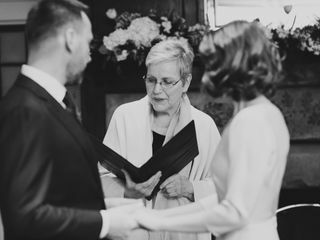 Reverend Susan Sirutis is an experienced wedding officiant located in Doylestown, Pennsylvania. 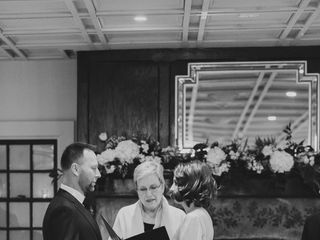 An ordained interfaith minister, Susan will be more than happy to officiate your love no matter your faith, culture, beliefs, or lifestyle. Revered Susan Sirutis will craft a meaninful and memorable ceremony that reflects your unique love story. She will use her expertise and skill to ensure you feel confident, calm, and comfortable on your big day. 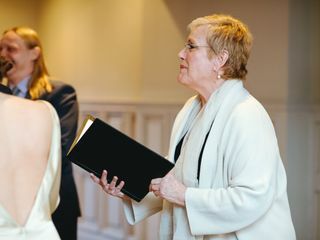 Whether you’re having an interfaith or non-religious ceremony, need a rehearsal, or want assistance with a vow renewal, Reverend Susan Sirutis possesses the experience and proficiency needed to guide you in the right direction. Other services include counseling, creating customized and personal vows, and helping with the marriage license. Rev. Susan was a wedding ceremony lifesaver! 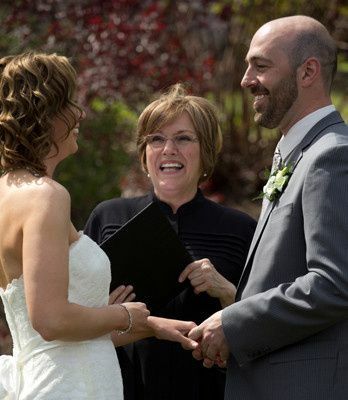 We had been working with an officiant but just a few weeks before the wedding we all decided it was not a good fit and it would probably be best to find someone who could perform the ceremony we were looking for. It was the right thing to do but I was still feeling sad and disappointed. I called Susan and she really helped me calm down and she reassured me that this wasn't the first time that she's gotten a call like this. She said that once she even planned a ceremony in 4 days for a couple! She was easy to work with and she really made it clear that she was there to help and work with us on giving us the ceremony we wanted. She provided ideas and some guidance which was very helpful and we were able to come up with something that was perfect for us! I do have to mention one more thing. The day I called her to see if she was available she let me know that she was booked to perform a ceremony just a few hours before ours that same day, but she figured out the directions and she let me know she would be there if we felt comfortable with that. Unfortunately, a few days later she tore a ligament in her leg and notified us that she was on crutches. She assured us that wouldn't stop her from being there though! She was able to make it to the rehearsal and she even made it to the wedding ceremony with plenty of time to spare! The ceremony was beautiful and we're so thankful we found Rev. Susan! Susan was a pleasure to work with. She was accommodating, cheerful, and efficient from start to finish. We were looking to have a simple ceremony that felt authentic to us, and Susan was incredibly helpful in sussing out the details and flow as we planned. Her humor, punctuality (she is early to everything! ), and organization were especially appreciated on the day of the wedding. Thanks for everything, Susan! Reverand Susan was great to work with! Unfortunately our church (which we no longer go to!) refused to marry us due to our choice to live together before marriage---Reverand Susan was judgement free and easy to work with! She met with us to get to know us and we coordinated everything from then on via phone and email which was very easy! 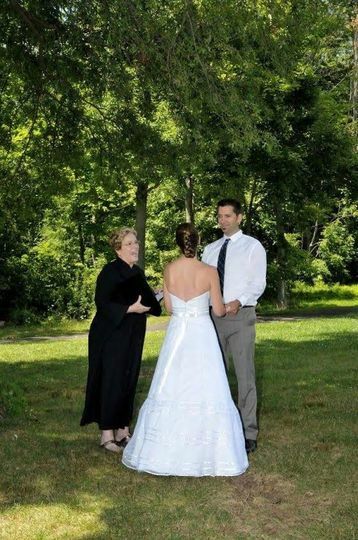 She allowed us to completely customize the ceremony and did a great job with executing it the day of! To top it all of, her price was very reasonable!! Couldn't have asked for a better officiant for our special day! !